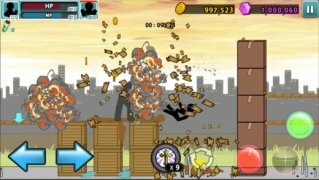 The game series starring Stickman and Anger of Stick, in particular, have managed to become quite a success on iPhone. 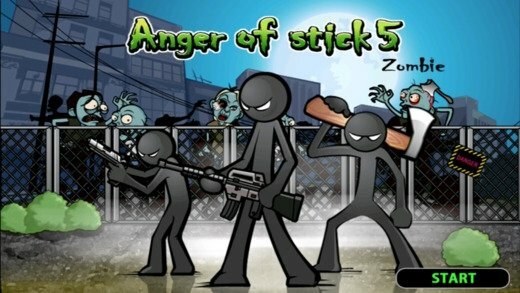 Here comes the fifth installment that comes along with new adventures all about kicking and punching enemies but with new elements such as zombies and other details taken from the RPG genre... but without leaving out its essence: an excellent action-packed beat'em up game. If you know the character from previous installments, you should already know that he's known for the elasticity of his movements. 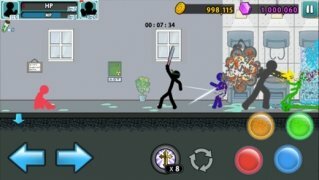 In this game, by means of the 4 buttons located on the interface, we'll be able to carry out all kinds of movements to attack our rivals with kicks, punches, and combos including realistic jumps. We'll explore an urban scenario on which we can enter buildings. There we'll find all sorts of items such as coins, potions to cure our wounds or all sorts of weapons (from machine guns to robots) that will offer more variety when it comes to killing our enemies. 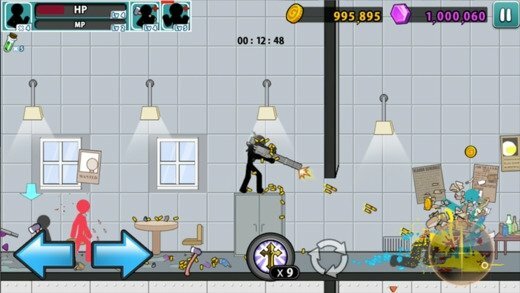 By the way, there's also an option to turn our enemies into zombies. Walk the streets and access buildings: rescue prisons and keep an eye on your life points, just like in any RPG. 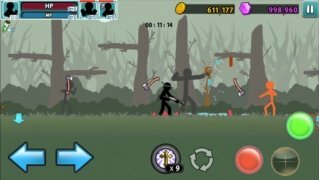 Find a wide range of weapons to face up to your enemies. 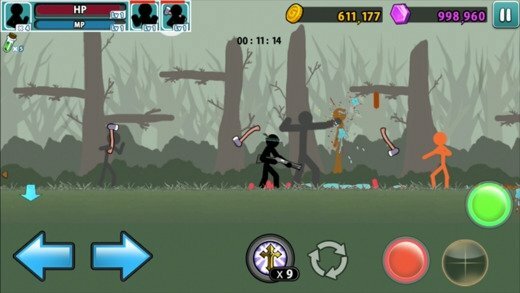 Recruit team mates to accompany on your adventure: build a team of up to 4 stickmen. Turn into Hulk and increase your power. 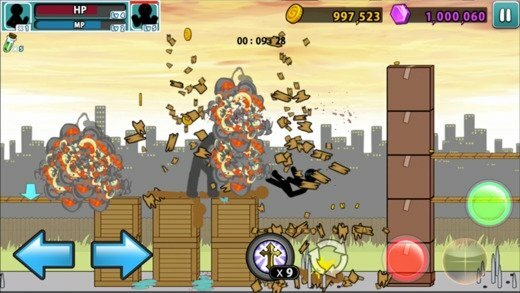 Play in zombie mode in which the scenarios are identical but with zombies as your enemies. But when can I download Anger of Stick for PC? 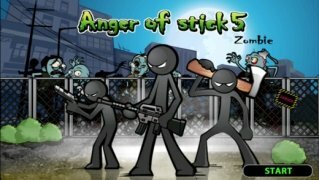 Well, it looks like you won't be able to play Anger of Stick 5 on Windows or Mac, at least for the time being. 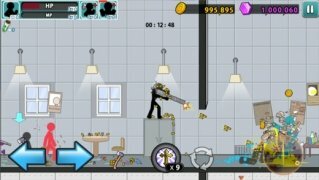 If you want to play a desktop version, the best thing you can do is download the Android version and run it on an emulator of the likes of BlueStacks. At least we'll have the advantage regarding iOS of being able to install an APK mod to implement cheats to make the game easier.